I have been listing a bunch of stuff on Craig’s list this week. I have been fascinated by the screen below. 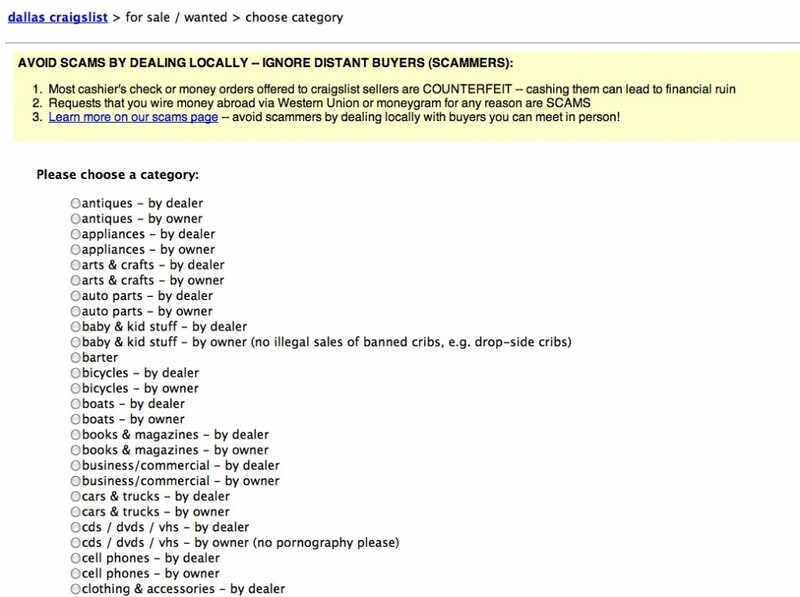 Should we just have a choice to list as owner or list as dealer? Why is the list really long and include two apparent sub-categories for each category? Why not ask the question: Is the lister a dealer or an owner? Then ask the lister what category they are going to list the item in? This entry was posted in UI/UX and tagged Craigslist, Lists, UI, UX by Hugh Paterson III. Bookmark the permalink.